Under The Copper Tree: How Much Produce Does Seventeen Dollars Get You? 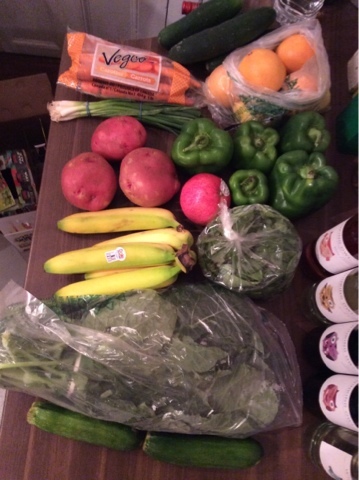 How Much Produce Does Seventeen Dollars Get You? That much. I think I got everything in the shot (sorry... it's my iPad. No fancy business here).